Lashkar-e-Taiba's (LeT) chief commander Abu Dujana was A++ category terrorist, said J. Sandhu, General officer Commanding (GoC) 15 corps on Tuesday. Dujana and another terrorist Arif were killed in an encounter with security forces in Hakripora village in Pulwama district on Tuesday morning. Dujana had reportedly managed to escape the security forces many times in the past, therefore, his killing comes as a "huge achievement" for security forces seeking to wipe out terrorism in the Kashmir Valley. Addressing the media, J Sandhu, General officer Commanding (GoC) 15 corps Lt. Gen J. Sandhu said Abu Dujana was a category A++ LeT terrorist. 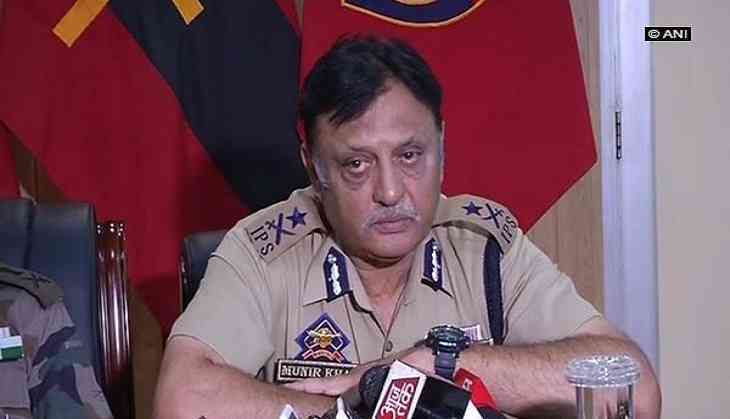 Confirming the deaths, IG Kashmir, Munir Khan, said the quantum of fire from the terrorists' side was very heavy. Khan also said operations against terrorists will continue as he regretted the killing of civilians. "Stone pelting or no pelting, disruptions or no disruptions, our operations will continue. In spite of our warnings and requests, people on behest of terrorists tend to come in between encounter, and that is how they get injured or killed," he added. Earlier, the security personnel had come under heavy stone pelting from the locals after the encounter ended.